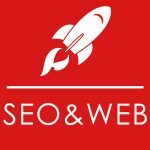 SEO & Web Designs is a leading marketing agency based in Essex working with small, medium and blue chip clients across the world. Chelmsford Round Table has been established since 1937, and offers a place for men from all walks of life to simply have a laugh, and discover a world of new activities whilst meeting like-minded individuals and fund raising for the local community and good causes. Great opportunity for Round table to support a local charity and the great job all the volunteers do… and there a great bunch of people! Thank you to you all for what you do. Earpieceonline is an online store for all 2 way radio earpieces, with a large portfolio of earpieces and connectors on our website, We pride ourselves on a reputation of a fast, reliable service of robust and hard working earpieces.